Let’s chat for a minute about what comes with the Premium Starter Kit and why it’s - hands down - the BEST way to dip your toes into the oily world. At the start of 2015, I ordered my first Premium Starter Kit. I was newly pregnant with our first miracle baby. Even though I had already started the journey of ditching the toxins in our everyday products around the house, I knew I still had a long way to go. Grabbing my kit gave me the tools I needed (so much more than I even knew going into it!) to easily make some serious changes in our home. I used essential oils and other Young Living household products through that pregnancy and my second one as well. 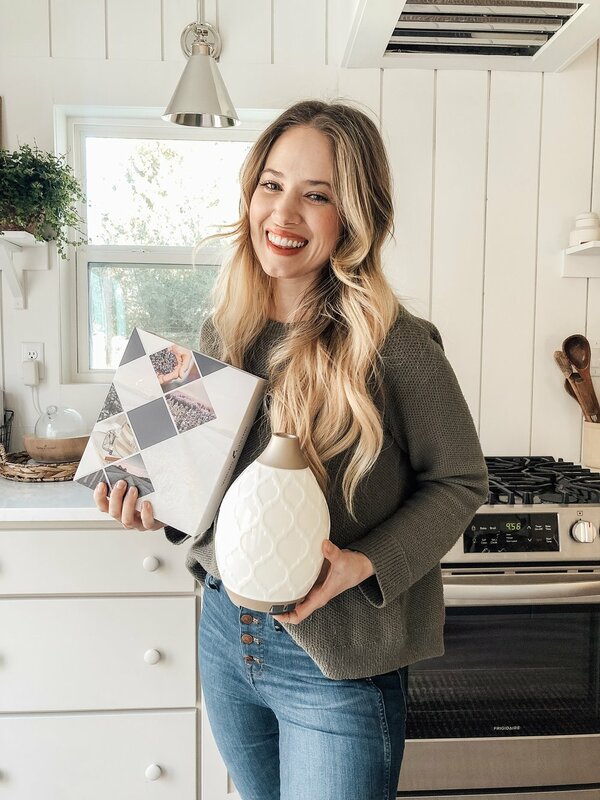 It empowered me in so many ways and I fell in LOVE with using oils to support the clean and safe lifestyle I craved for myself and for my whole family. It might sound a bit dramatic, but I look back on my decision to buy the starter kit as a truly pivotal moment in our life. And that’s what I want for you, too. Let’s back up a sec and allow me briefly explain what exactly essential oils are and how they work. Made up of tiny molecules that are very easily absorbed, these components then interact with bodily systems & support various systems of the body. When you inhale an essential oil, receptor cells in the olfactory organ receive the aroma & send signals to the limbic system of the brain, which is the center of emotion & memory. Let me share with you just a few of my favorite ways to use the 12 oils in the starter kit. Thieves + fractionated coconut oil in a wellness roller applied to our feet daily to support our immune systems. If you have kids in school, you know how important this is! Lemon + RC mixed with some coconut oil for a chest rub that we can't live without during the winter months (plus smells like a spa!). Lavender in my mascara to promote longer, fuller lashes! Peppermint Vitality in my water for a refreshing energy boost + digestive support. Frankincense & Lavender with jojoba oil or rosehip seed oil applied morning and night to face for healthy, glowing skin! I apply Frank neat to blemishes & fine lines. Stress Away on wrists throughout the day to keep things zen. Also love it in the diffuser with Peppermint & it smells like Junior Mints. Panaway + Lavender in an Epsom Salt bath to relax and relieve achy muscles. Panaway hooked me on daily baths to get me through the aches and pains of pregnancy. Sleep Roller: 10 drops each of Frank + Peace & Calming + Lavender. Top with carrier oil and roll on the bottoms of feet + chest before bed. 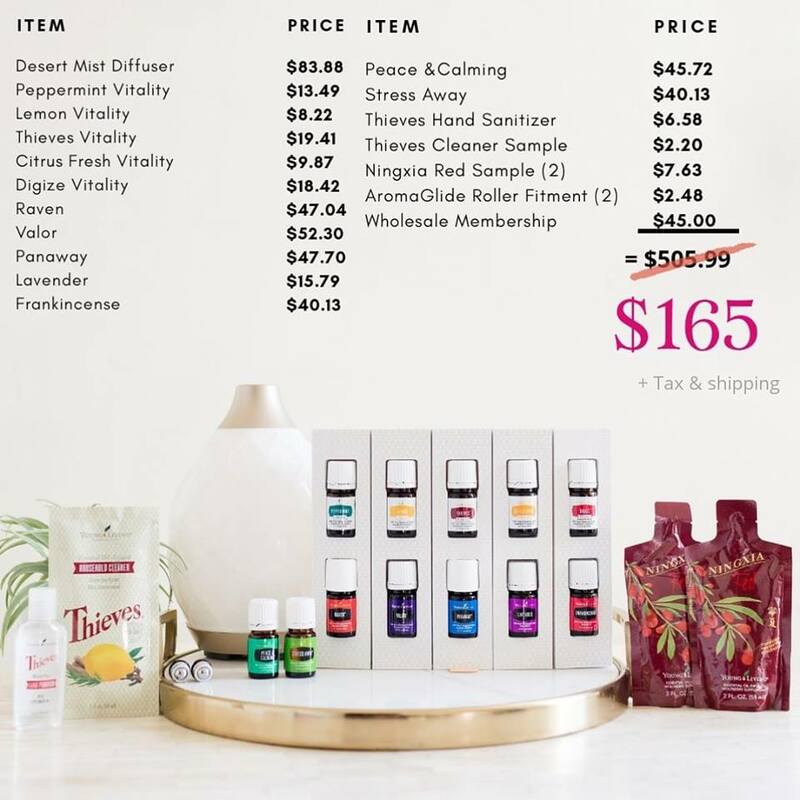 The value of the Starter Kit is absolutely remarkable and certainly the best way to get your hands on the most popular oils + a pretty diffuser. These 12 oils are staples in our everyday lineup and seriously the ones I find myself reordering time and time again. And last, but not least, enrolling with me gets you access to our exclusive Facebook groups with tons of past classes to read through! Clean Home Project (how to use Thieves Household Cleaner (plant-based + non-toxic + incredibly effective + safe to use around pets and babies) to safely clean your entire home).